Having the right tools for the job is a big part of being able to get the job done right. That’s something we’ve learned through plenty of experience as electricians. And it’s true for any type of work, as we found out firsthand, when we recently wired the second location of Federal Hill Pizza in Providence. The first location of Federal Hill Pizza made its debut in Warren and quickly became known for quality and authenticity. Wanting to keep this reputation alive at their new restaurant, owners Billy Manzo and Christine Arvanigian ordered just the right tools for the job: They imported four pizza ovens directly from Italy. 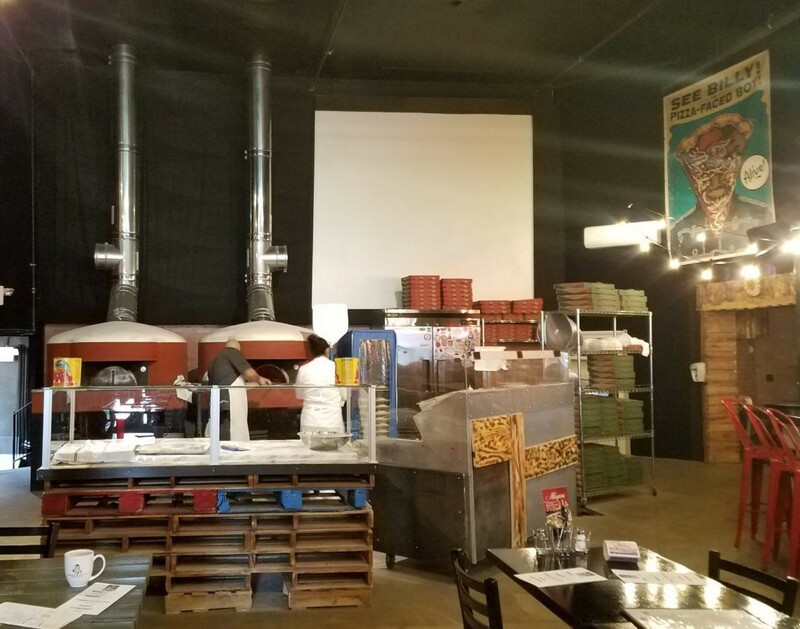 Two of the Italian pizza ovens are wood-burning ovens — known for producing that cooked-to-perfection, slightly charred, Neapolitan brick oven pizza. The other two, high-efficiency electric ovens, produce pizza that’s just as delicious, and comes out hot and ready in just three minutes flat (yes, really!). These eco-friendly ovens require little energy, and are perfect for accommodating high order volumes on the busiest nights. In addition to being Earth-conscious pizza experts, these restaurant owners really know a thing or two about Rhode Island. Billy grew up in the very same Providence neighborhood where this second Federal Hill Pizza is located. It was his vision to transformed the old Castle Hill Cinema, which was built in 1925, into a pizzaria. The building was first used as a vaudeville playhouse and later turned into the movie house that Billy and his friends visited every Saturday growing up. The Castle Hill Cinema space has been vacant since 2004, so reviving this building was a labor of love. And with so much meaning for Billy and his family, it was important to get the job done right. 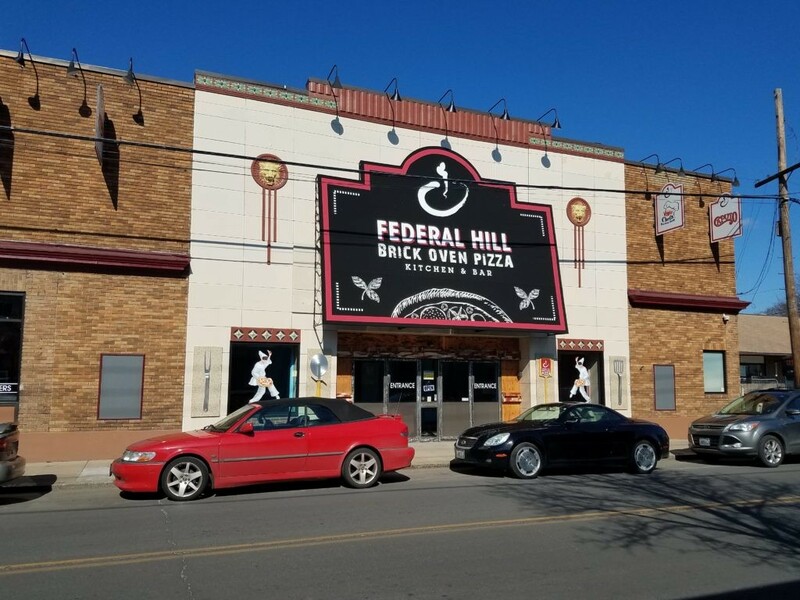 Getting the new Federal Hill Pizza up and running is a project that began in 2015. Since then, it has taken a lot of twists and turns as it progressed. The building structure itself was the biggest challenge, because the whole building is cement. This is something Griff Electric had to work around in order to get power to it. But we made it work! On and off over the course of a year, we installed all of the kitchen appliances and lighting, incorporating some really great fixtures that the customers had chosen to complement the space. We added ambience lighting as well as lighting for the bar. We also completed the exterior LED lighting and sign lighting. Our team installed everything from the machines for kneading dough, to the pizza ovens, as well as the soda machine, HVAC system, heater pumps, and more. We quickly became invested in this project and are so proud of the outcome. 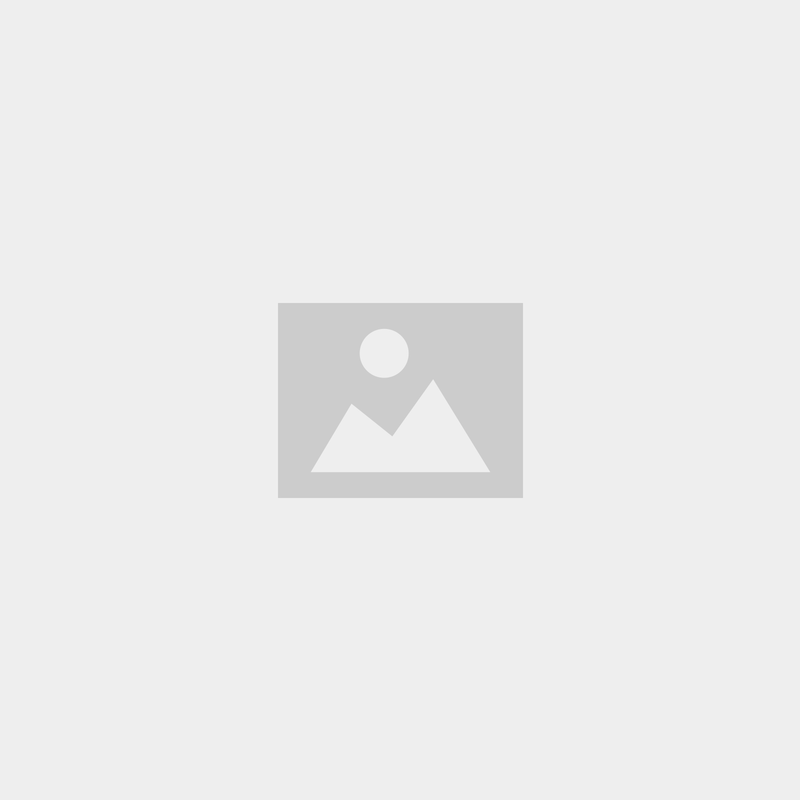 We are especially enthusiastic about projects that positively impact Rhode Island neighborhoods. Many of us reflected on our own memories of coming to this building when it was a movie theater, just like the owner himself. The Castle Hill Cinema building is a part of the collective memory of the community so we’re glad to see it transformed into another gathering spot for future generations, and to have played a role in that. Being a part of this renovation felt like being a part of Providence history, and as a Rhode Island business ourselves, that means a lot to us. We hope that projects like this mean a bright future for the neighborhood, and also some very happy (and well-fed) customers! So, you’re probably wondering by now…how’s the pizza? We think it’s absolutely delicious, but we definitely encourage you to go see for yourself. This was a complicated, long-term project so it’s extra gratifying to see it completed. 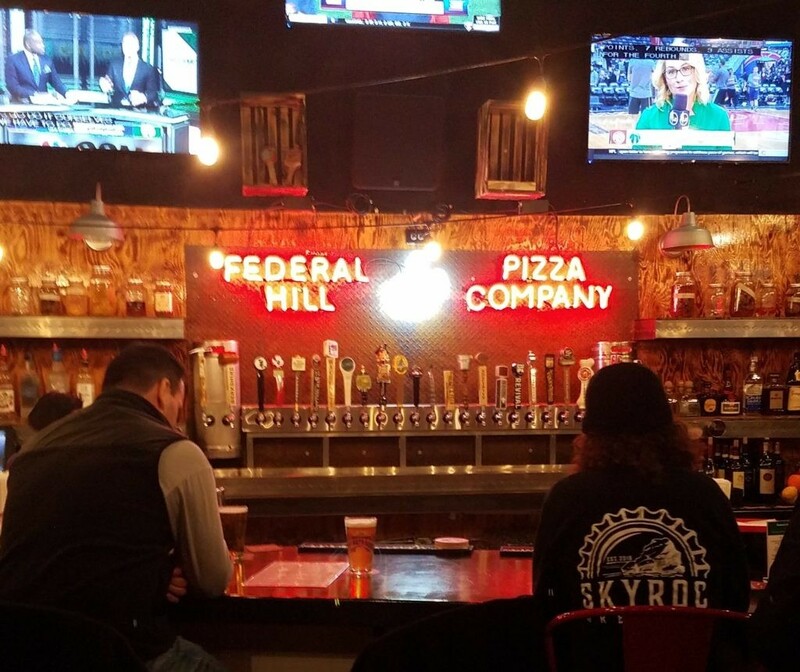 Federal Hill Pizza is not just any old pizzeria. It’s a piece of Rhode Island history, and now it can once again be part of the present.